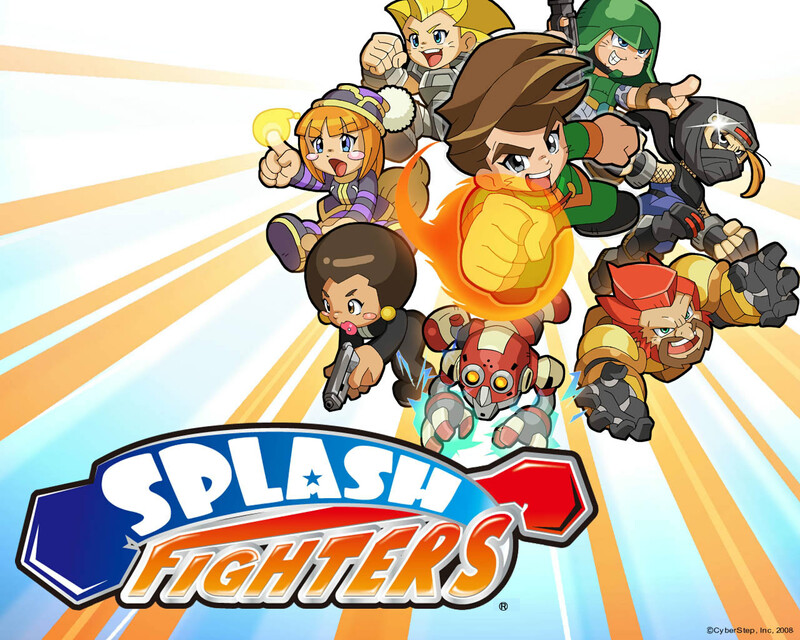 Splash Fighters is a somewhat uncomplicated free fighting game with crude looks but a lot of content. 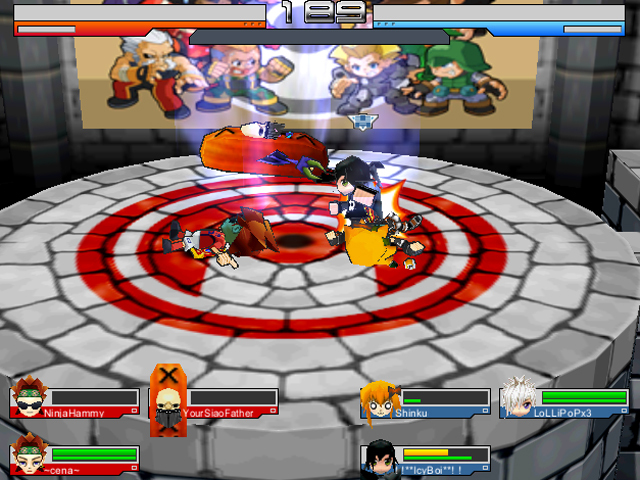 The gameplay is easy to learn, since it involves eight players fighting it out on an arena, by themselves or as part of a team. There are a dozen classes to choose from and many more to be added, providing a fantastic choice for all players. Ranging from the pure fighter, balanced in speed and strength, to the ninja, a cunning enemy that uses stealth to his advantage, selecting the class you identify the most with will take you one step closer to victory. 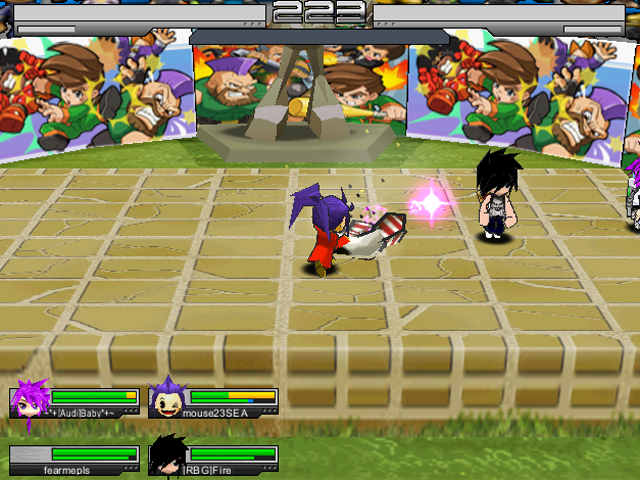 The variety of game modes will keep players interested in the fighting, from the simple Death Match to Amped Sports Match, where you get to complete a variety of goals such as break the ball, return the flag and basketball. 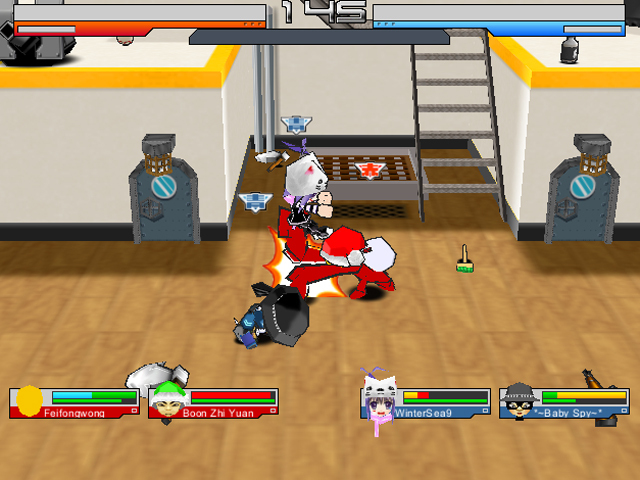 is this game still working and should I play it ? Great game and love the character custimization the only thing that could make it better is better graphics, fantastic game!!! 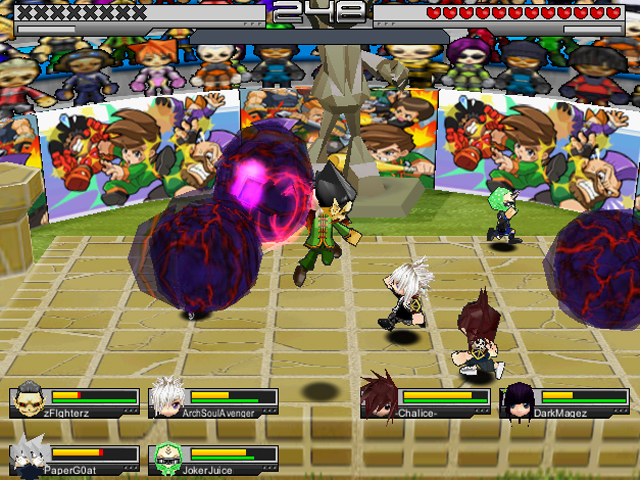 Yeah, it was called Get Amped, but the North American version is named to be splash fighters, while all the other servers such as SEA are still called Get Amped, While Get Amped 2 is also out, these games are definitely mindless button mashing fun! בקשר לPysol, מסתבר שהחבילה הוסרה גם מDebian Unstable, אבל לזה לא היה כל כך הד.ובכל מקרה, pysol הוא פרוייקט שאינו נמשך, וההסרה שלו הגיונית. במקומו יש fork בשם PySolFC, רק שלו אין חבילת deb עדיין משום מה.אפשר למצוא קישורים להורדה מאתר של PySolFC, דורש להפעלה מלבד את חבילות הpython הבסיסיות גם את החבילה python-imaging-tk. this looks really fun for entertainment sakes. are any of these games on this sight compatible with the Mac, though?